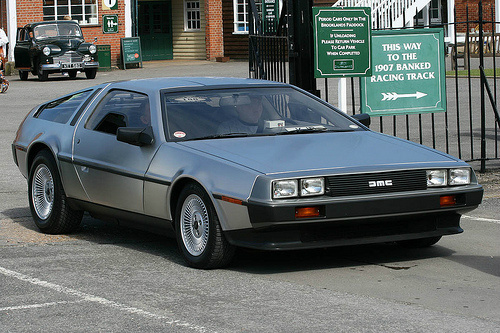 The 1981-83 DMC-12 was the only sports car manufactured by the DeLorean Car Company. 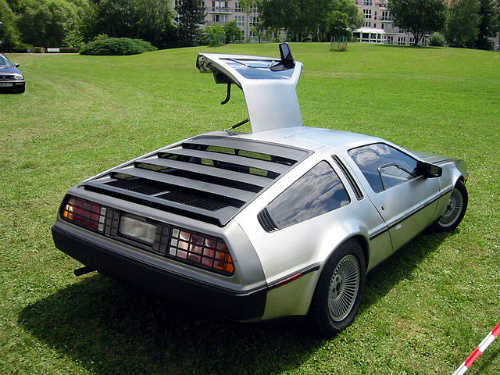 Based on the Lotus Esprit, this two seater, with a price tag of $25,000, was designed by Giorgio Giugiaro, and featured a rust-resistant stainless steel body on a glass reinforced fibreglass chassis, together with gullwing doors. It was powered by a 2.85 litre, alloy, mid-engined Peugeot/Renault/Volvo, SOHC, 12 valve, V6 unit, that developed 156 bhp at 5700 rpm, and 173 ft/lbs of torque at 3000 rpm. Fitted with a 5 speed manual or 3 speed automatic gearbox, a 9.5:1 compression, and Bosch K-Jetronic fuel injection, it produced a top speed of 110 mph, with 0-60 in 8.8 secs and a standing 1/4 mile in 18.0 secs. It had all round coil spring independent suspension and power-assisted disc brakes, with a curb weight of 1230 kg, and a front:rear weight distribution of 35:65. 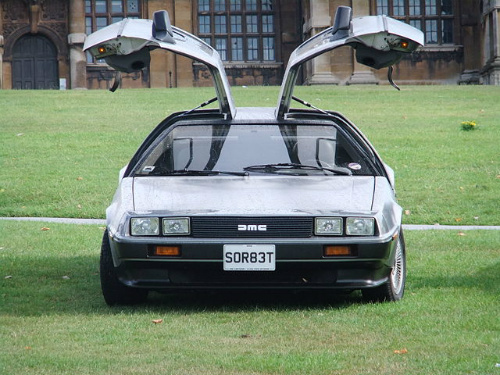 It was fitted with leather seats, air conditioning, and powered windows, locks and mirrors. 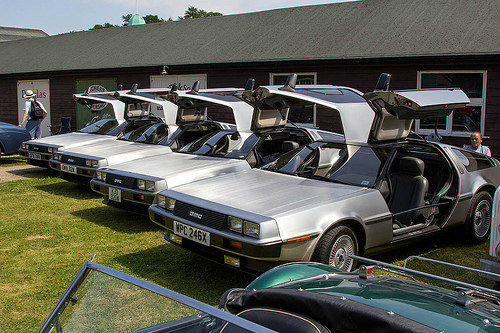 A total of 8,580 DeLorean sports cars were built before the company went into receivership due in part to a major slump in the US Car market, even though it had been partly funded by the British Government. Its demise propelled it into motoring legend with a cult following.